Check out some of our past participants below! Martin's Safety Equipment was founded in 2011 by a transition year student. Marie Martin's father had become ill spraying pesticides, encouraging her to invent the Safe Scrub Sprayer. Marie went on to win the Young Entrepreneur Programme, receiving national attention for her product as well as mentorship from Denis O'Brien and Jerry Kennelly. Marie is committed to her mission of promoting health and safety in the agricultural sector and providing farmers with innovative new products to protect their health. 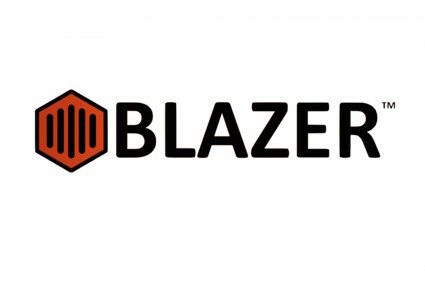 Blazer is developing an airport security system for honeybee hives that uses image recognition technology to monitor, record and analyse honeybee health before take off and after landing. The device then reports back actionable information to beekeepers. Real time data allows beekeepers to respond to threats in a proactive way using proven treatment methods.The long­term value in Blazer is the locally, nationally and globally aggregated data collected on honeybees. Nu. is an ethical fashion community, aiming to reinvent the way we shop. They believe in looking great, without the environmental and social costs. The Fast­Fashion industry is cheap, unethical and highly profitable. Nu. will create a marketplace where fashion is both affordable and sustainable, whilst remaining profitable. Nu. runs eye­opening events throughout Dublin, with a focus on highlighting the harm caused by the current industry. In this respect they provide fun, stylish and affordable wardrobes without causing harm to the planet. Their objective is to make ethical fashion the norm, while refusing to support unfair systems of production. QuickSpot was established out of pure frustration over something that we encounter nearly every day; the inability to find parking. By utilising a regular CCTV camera, their unique software, and combining it with an effective mobile application, they are able to identify and guide drivers to available car park spaces. With the average price per space being significantly lower and less intrusive than any of their competitors, we believe QuickSpot have the potential to become a market leader in the smart parking industry. Using just a mobile app, QuickSpot could offer the overall solution for the parking industry. Vital Fixies is a fixed­-gear bicycle company. Designing from Dublin and manufacturing in Taiwan, they are are focused on quality, style and affordable pricing. Dozens of dedicated designers and engineers work together to carefully construct every facet of the bikes. Their simple, elegant design costs less and ages gracefully. They eliminate waste, you save. Their bicycles are half the traditional retail price and because they sell direct to their customers and don't have expensive retail stores, the customer receives far higher quality bike for their money. Their goal is simple; to offer high quality fixed gear bikes at an unbeatable price. Cork Cares is a social enterprise that enables consumers and businesses to give back to charity whilst also getting something in return. They connect local businesses and charities by selling deals online. They then donate a percentage of sales, meaning the consumer is given a good deal whilst supporting their favourite charity. The business is also able to give back and receives a new customer. For charities, they provide a sustainable, regular source of income with no effort needed on their part. Having launched in Cork and with ambitions to expand, their aim is to have consumers shop normally, but with far greater benefit to society. AirCrewser is an online platform offering tailored services to long-haul cabin crew and pilots with layovers in Dublin. Our mission is to maximise flight crew's layover experience by providing them value-added services such as: portable wifi rental service, deals and discounts in various restaurants, bars and shops and relevant information and local tips on what the destination has to offer. Our ambition is to work closely with major airlines and to operate internationally. Picabrain is an online provider of tutors in all areas of education. Focusing on subject specific tuition, so if one is looking for help in a college module, wants to learn a new language or pick up a new instrument/hobby, Picabrain is the go to site. With a huge emphasis on review and with all our tutors being subjected to pre screening, we take the worry out of finding quality tuition. SimpliFly is a mobile shopping solution designed to make it easy to buy when you fly. SimpliFly is designed for travel retailers to maximise their sales and for passengers to have the best travel retailing purchasing experience possible. Our unique terminal delivery service will then deliver your purchased items to your arrival airport terminal upon your arrival. - "Simplify how you Buy when you Fly. - SimpliFly"
Popdeem was born out of the founders' frustration with existing social marketing tools for local businesses. Over the past 3 years, Popdeem has developed one of the most powerful pieces of social marketing software in the world and now stands at the forefront of a monumental shift in the advertising industry. Popdeem is a social engagement platform that enables location-based brands to identify their most influential customers and reward them for sharing brand experiences on social networks. WattSpot offers free charging points for you devices which act as an incentive for customers to enter an establishment, increasing footfall and sales and the overall customer experience allowing customers to avail of the free charging service, for their more often than not, depleted smartphone batteries. Our goal is to make everyone's day a little bit easier and change the world of charging along the way. At Restored Hearing, we aim to change the way the world hears by ridding it of avoidable hearing damage. Founded by Rhona Togher and Eimear O’Carroll in 2009, Restored Hearing have developed a sound therapy for tinnitus, Sound Relief, which is financially and geographically accessible, as well as scientifically proven to alleviate tinnitus severity. In addition to providing a treatment for tinnitus, Restored Hearing are committed to help prevent it with a hearing protection product called Sound Bounce. Sound Bounce combines the power of noise cancelling electronics with the competitive cost of foam hearing protection which has been independently verified to absorb sound up to 8 times more effectively than foam. Vconnecta is a two year old Irish technology company that is working with organisations, businesses and leaders that wish to not just connect with local communities but learn from them. At Vconnecta, we are passionate about helping businesses, organisations, and leaders improve their interactions with local communities by using the latest cloud and mobile technologies. FoodCloud connects businesses that have too much food to charities in their communities that have too little. Using the FoodCloud app, or the website, participating businesses can upload details of their surplus food and the time period in which the food can be collected. This automatically sends a text message to the most appropriate charities in their community. The first charity to accept the offer collects it directly from the business. We are Dublin’s creative fine dining events company. Through dramatic appearance, technique, our appetite for design and shared-plates eating style, we bring an entirely new dimension to dining in Ireland. Having always put emphasis on Irish produce our company began by hosting supper clubs and guerrilla dining experiences using social media as a means to spread the good word of our food. Along with the events we host and create, we have come to work with many food and drink companies to create innovative menus. We have tailored our food to accompany various events such as the Guinness Brewer’s Project, Heineken Dine in the Dark and the Lidl Secret Garden.